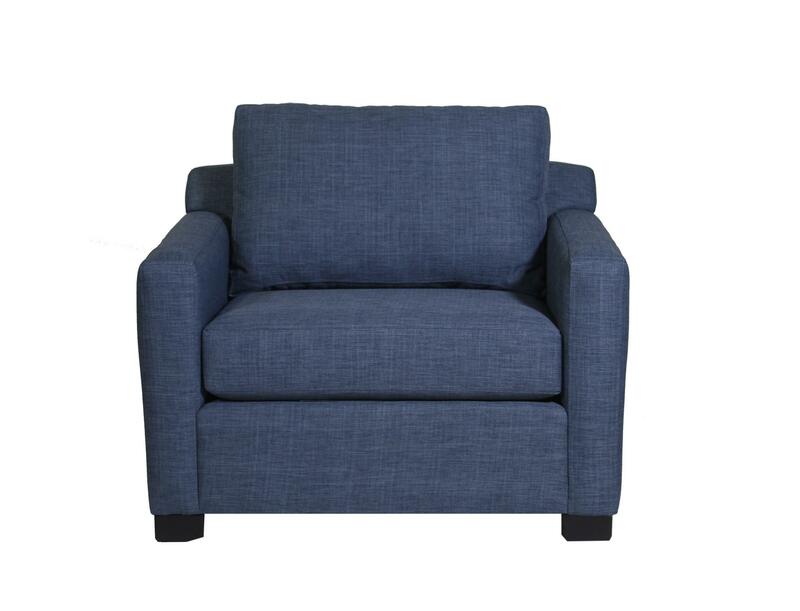 Cuddle up with a good book and a cup of coffee on the spacious June chair and a half. The piece features a wider seat with a plush cushion. Flared track arms and block feet create a clean, modern shape, and kiln-dried Canadian hardwood construction promises durability. Make the piece your own by choosing from a wide array of fabric options through special order methods. The June Chair and a Half at HomeWorld Furniture in the Hawaii, Oahu, Hilo, Kona, Maui area. Product availability may vary. Contact us for the most current availability on this product. Leg or Skirt Canadian Kiln Dried Hardwood.